asparagus and jumbo shrimp risotto – Spring’s coming! It’s almost May and I’m still wearing my winter coat. Mother Nature can’t fool me. Spring’s coming. The days are longer, the sun is warmer and my darling Meggie is showing! What a spectacular weekend of cuddles, loads of yummy food and long talks. Four perfect days with my girls enjoying small simple things. Watching Kate and Sara fuss over Meg. Constantly touching and whispering to Meg’s swollen belly. Getting hocked on Game of Thrones. Being able to touch my daughters rather than just look at them on a computer screen was the best. When they were little girls, I always held there hands when we walked. When they became teenagers, they stopped. Now that they’re adults, they reach for my hand again. The promise of Spring has me thinking of lighter dishes full of fresh sprouts and lovely seafood. Asparagus and Jumbo Shrimp are a natural combination for risotto. What lifts this recipe is NOT cooking the main ingredients with the arborio rice. Roasting the asparagus deepens it’s flavour rather than leaching it by adding it to the cooking broth. The same goes for the shrimp. Pan frying the shrimp and then hitting them with a bit of garlic and chilies totally trumps poaching them with the rice. Place trimmed asparagus in shallow roasting dish and drizzle with a couple of tablespoons of extra virgin olive olive. 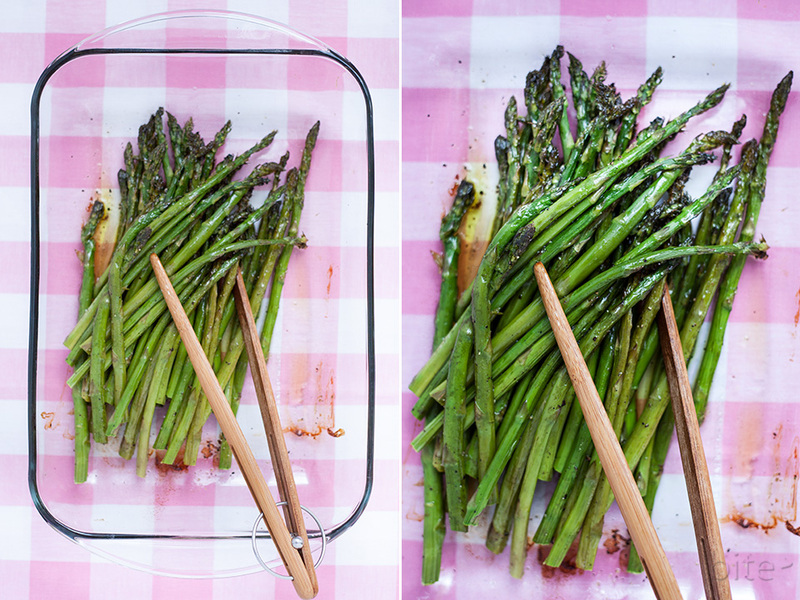 Roast asparagus for 30 minutes. Meanwhile, in a deep skillet, melt butter in 2 tablespoons of extra virgin olive oil over medium heat. When butter is frothing add leeks…sauté for 5 minutes, browning slightly, stirring constantly. Add Arborio rice and stir until well coated with butter/oil mixture. Heating the rice ensures quick absorption of the broth. Plate risotto and top with asparagus and shrimp. THE LOVE: Risotto should have a loose consistency. It should NOT look like a plate of porridge. This entry was posted in pasta/risotto and tagged asparagus risotto, jumbo shrimp recipes, recipe asparagus, shrimp risotto, Spring recipes by Michelle. Bookmark the permalink.